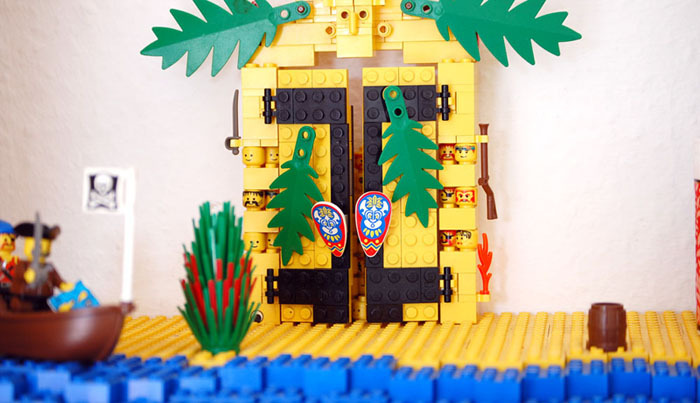 An exotic adventure island made of lego that moonlights as a spice rack for exotic spices. Unfortunately you can't really see the wall of heads the natives built inside the doors. The is no support structure, no base plates. Three layers of lego bricks are enough to make a board. Sturdy Stuff! Write me, if you want to see an instructable for this!